The T500 came to me non-running, and in pretty bad shape. I could see through the exhaust port that the windowed piston skirts seld destructed. Water had sat in the 32mm Mikunis and the inside of the float bowls were beyond repair. 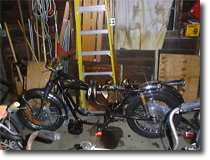 The crankcase has not been modifed and was set at 1200cc oil capacity. When I tried to tear the engine down, I found that the jugs had corroded themselves to the top case, and wouldn't budge. I ended up destroying them getting them off. Luck was on my side though when I went to a local boneyard for some parts for my pickup. 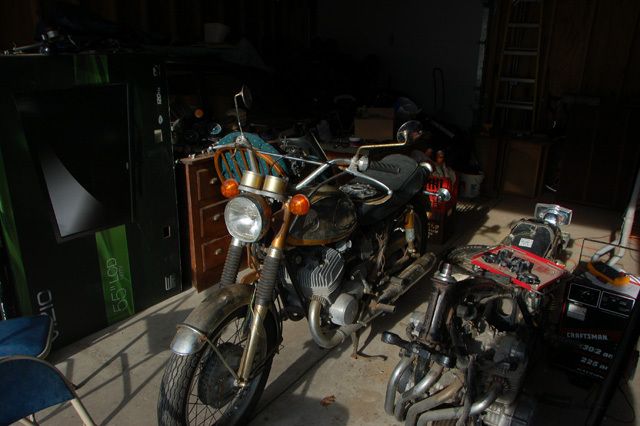 Not sure of the reason, but motorcycle junkyards are nonexistant in Illinois, and the only junked bikes you run across are one or two bikes sitting at the front of the local car yard. When I walked through the front gate I noticed 5 motorcycles sitting there, and 3 of the 5 were T500s. I ended up getting a complete engine, including the airbox and throttle cables. From the oil capacity on the case, it was probably a late model T500, like a 1976, as the case was stamped from the factory 1400cc. 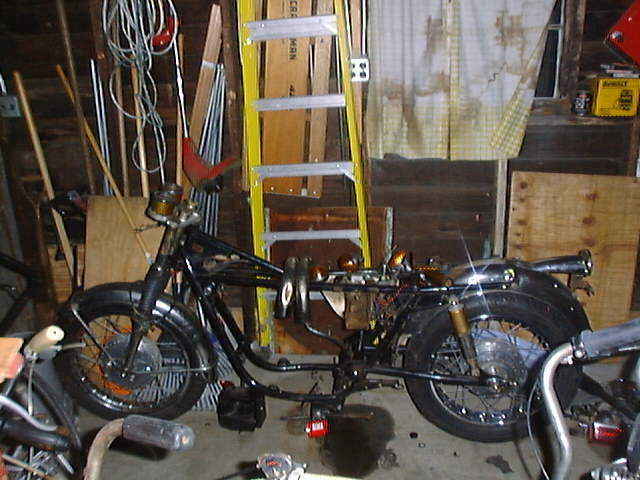 After rebuilding the engine, and putting it all back together, it started on the second kick. Unfortunately the vacuum operated petcock stuck open, and the float bowls stuck open, and filled both exhaust cahmbers with gas and melting the rubber seals between the exhaust pipes and the chambers. 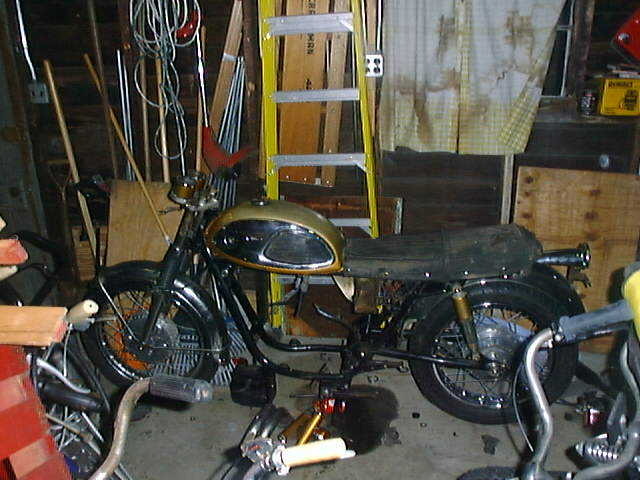 So I pulled the carbs back apart, and got a NOS petcock on Ebay, but still need to get it all back together and tunning. 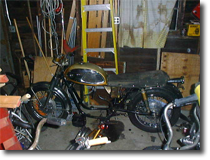 Really, more than anything it needs a paint job, but I need to get it up and running so I can bring it in to get it appraised so I can post bond to get a title for the thing. One of these days though< i'll get it done.